So you’ve got a garden and your garden has become the local place for cats to meet up and poop. Ugh, yuck. Not only does it likely cause damage when they dig around and bury their poop, but it is just gross running across it! On top of this, if you so happen to be pregnant or happen to have a pregnant woman in the house then you should take extra care due to the potential for toxoplasmosis. 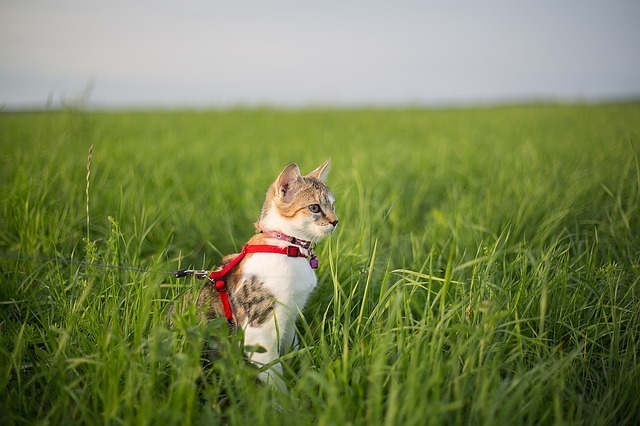 If it was your neighbors dog pooping in your garden you’d expect your neighbor to clean it up, but free roaming cats are not so easy to track and clean up after. So what can be done to stop cats from fouling your garden? 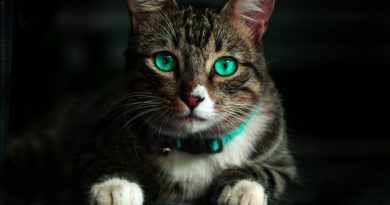 The good news is there are a lot of ways to help deter this behavior and most of them are very affordable and easy to implement while also being safe for the cat. So what are some of the best ways to stop cats from fouling your garden? Let’s look at this through a couple of large categories. I’ve put them in priority order in the quick guide below. The easiest thing to do will be to keep them out of the garden. The hardest and most frustrating is giving up on that and providing an alternative for the cats. One quick note before we go any further. This may seem too obvious to point out, but if it is your cat using the garden as a toilet then don’t let your cat outside anymore. Thoughts on free roaming cats vary from place to place, but it isn’t abuse to keep your cat inside. So long as you provide a good enriching environment with lots of play and exercise your cat can live a healthy life indoors. If you’ve got cats wandering in your garden the most obvious option is to simply keep them out of the garden to begin with. Though this may be easier said than done depending on how your garden is designed and where it is located. Mine is in a small fenced in space behind my house so there’s only one major entry point for cats. If your garden has only a couple of entry points then you’ve got an advantage. 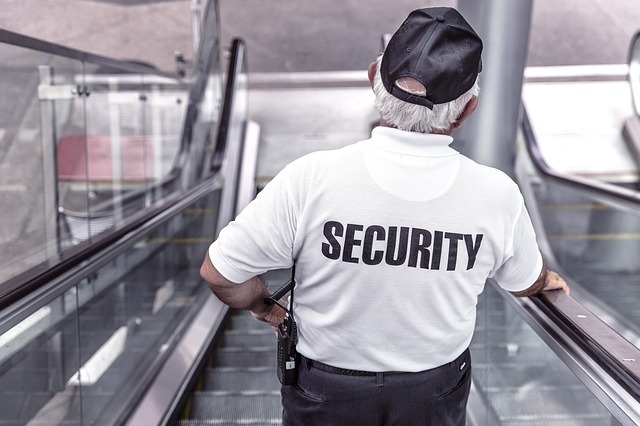 Motion Detector Deterrents: There are a few kinds motion detectors, the ones that make noises (you can’t hear them but cats can) and the kind that spray stuff. The idea is that they’ll identify something moving then react. Ultrasonic: These blast a high pitch noise at the cats that they don’t like which deters them from coming in the area. 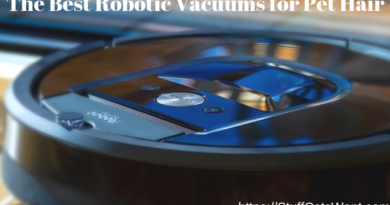 Check out some of the best Ultrasonic Repellers at Amazon. Water: These blast a stream of water at the cats when they are detected. Let’s be honest, nobody likes getting sprayed by a jet of water when they aren’t expecting it. Check out some of the best water spray repellers at Amazon. 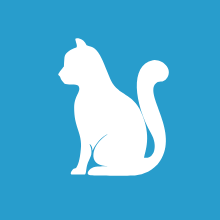 Air: Read my review of the SSSCat Automatic Cat Deterrent which uses compressed air instead of sound or water. Guard Duty: While not ideal, if you see a cat while you’re in the garden, you can spray the cat with your hose. The biggest concern with this method is that as soon as you’re not around the cat is likely to come right back. If blocking off the entrances is simply not an option due to garden design then you’ll want to do your best to make the garden unattractive to cats. There are lots of easy ways to do this while still maintaining a great looking garden. Keep in mind this is about making the garden a place that cats simply don’t like. We’re not trying to injure the cat, we simply want to ensure he or she would rather spend their time elsewhere. So what options to we have? Mulch the garden: Cats have very sensitive pads on the bottom of their feet. Because of these sensitive pads you can often make them feel uncomfortable by placing specific surfaces on the ground. I talk to this in my article on keeping cats off counters, but the same idea applies here. 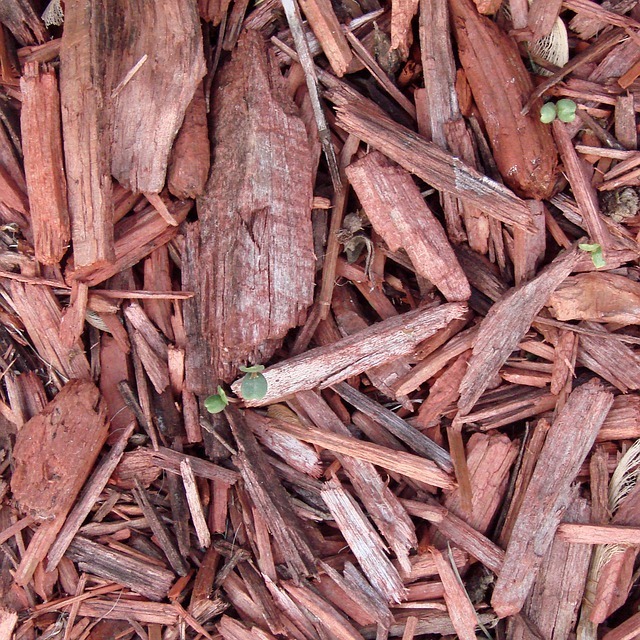 Large pieces of mulch help you in two ways, they are uncomfortable to walk on and they also cover up the dirt that cats like to bury their poop in. 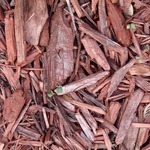 Do note it must be large format mulch as fine mulch will just encourage them to return. Chicken Wire: While chicken wire won’t harm a cat it’ll again make the space uncomfortable to walk on which should lead the cat to avoid the space. Aim for chicken wire with small squares, about one inch wide or so. If possible lay it in the places a cat is most likely to enter the garden or the places you’ve seen the cat perusing most commonly. Spread crushed pepper: Spreading crushed red pepper around the garden has been proven successful in numerous cases. Just keep in mind that it’ll get washed away if you spray down the garden or if it rains. This means you need to spread it around constantly unless you live in a dry environment or you have an underground irrigation system. Spike Mats: Sounds vicious doesn’t it? It isn’t. I’m not talking about mats with actual dangerous spikes on them. I’m talking about the kind of mats that have relatively pliable plastic prongs on them in very close proximity to one another. Just like the other options above these make cats very uncomfortable and will hopefully drive cats to spend their time elsewhere. You can chop the material into small segments and place it throughout the garden area for maximum coverage. Plant Rue: “You’ll rue the day you crossed me!” This is what you’ll be saying when you plant rue in your garden to ward off unwanted cats. Rue may not the ideal plant you want in your garden, but cats will avoid it cause it has such a strong odor. While rue is not something you’d want your cat to ingest cats are far more prone avoid it completely as opposed to attempting to eat it. Odor Based Repellents: There are numerous types of odor based repellents on the market and the size of your garden and the type of entry will likely drive which one you might want to try. The general idea behind them is that cats either don’t like the scent or are afraid of the scent and that will drive them off. So what options exist you might ask? Well let’s take a brief look. Citrus Peels & Juice: Cats generally do not like the smell of citrus from lemons/limes/oranges. You can try eating an orange and then chopping the peel into bits and scattering it throughout your garden. You can also dribble a bit of the juice around the outskirts of planting beds. Just keep in mind every time it rains you’ll have to clean up and put down new peels. Granules: These are an option if you have a large garden. They are easy to quickly spread through a large garden as you can just shake them out of a container. A common brand is Havahart, but users report mixed success. Poop: Yes, I said it. Poop. Ever heard the good old phrase fight fire with fire? Well here’s a great example. Lion dung. That’s right, lion poop is being harvested as a product now and it can be used to keep cats away. They know the scent comes from a larger predator and are inclined to avoid the area from there on out. It is quite expensive, but you can check it out on Amazon. Spray: Spray is the go to option if you only have a few plants you’re trying to cover. 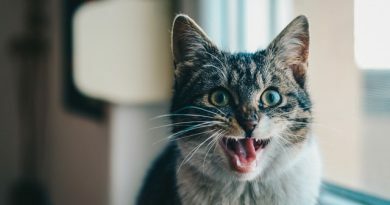 I talk a bit about this in my article on keeping cats from eating your houseplants as well, but they generally have a horrible bitter taste or a strong smell that cats despise and simply won’t come near. Keep in mind you’ll have to reapply it relatively often, especially if it rains a lot where you are. Random strong scents: Cats don’t like the smell of pipe tobacco or coffee, so you can spread the grounds or used tobacco around your garden. Another option is a mixture of vinegar and water that can be sprayed around the yard. It is generally harmless to plants but cats will not like it. Any of these options will require a relatively consistent refresh so they aren’t ideal in many circumstances. 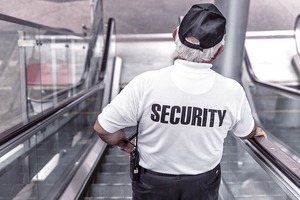 If neither of the above options is working then you may want to consider pursuing legal options. Every city and municipality treats animals differently, but most do have laws around keeping owned pets on property or on a leash. These can be used to your advantage if the animal soiling your garden is not a stray or feral cat. Check on leash laws in your areas: While most people would associate leash laws with dogs they often actually apply to all outdoor pets. This means cats. Check your local laws for more information. Once you know the laws, it gives you the authority to do something about the cats roaming in your garden. Find the owner: If the cat is friendly and you can take a look at the collar then see if you can give the owner a call. If you can’t get near the cat but can see a collar do your best to follow the cat home. Understood this re free time and some detective work, but it may prove fruitful. Most owners will be sympathetic and will try to work with you to solve the problem once they realize their cat is causing an issue. You’ll obviously want to threats when talking to the owner. Instead focus on the potential danger for the cat, especially on the toxic plants that are in your garden that could cause harm to the feline. There are a ton of common plants that are toxic to cats that owners should be concerned about. Call animal control: If all else fails and you are in the right with the law (or if the cat happens to be a stray) then give animal control a call to come by and pick up the animal. Animal Control often partners closely with many of the shelters in cities and counties to try to find homes for stray cats. 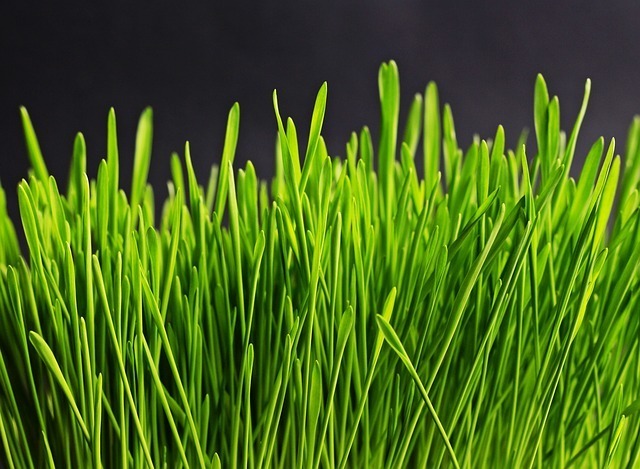 Plant cat grass: As I’ve mentioned in numerous posts, cats absolutely love cat grass. It is super easy to grow and cheap as well. I’d recommend growing it in pots though as opposed to a spot in the ground. The primary reason being it grows super quickly but then dies quickly too. Pots would allow you to easily rotate out new crops with minimal hassle. Plant catnip: Cats love catnip and cat mint as well and you can distract them from your garden by planting it in another part of the yard. On top of this these plants have a longer growth cycle than cat grass so they’ll stay around longer. Be careful with this option though, I previously put out catnip for one roaming neighbor and ended up attracting another. 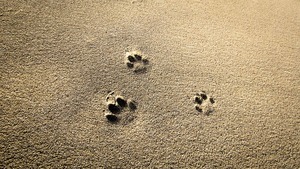 Create a sand patch: You know how your cat likes cat litter specifically, well outdoor cats will be prone to enjoy sand. 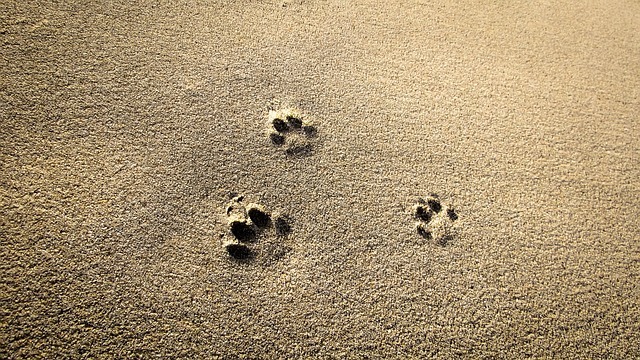 Sand actually used to be cat litter before it was determined that clay was more absorbent. If you create a small area of sand cats will likely use this as a litter box in place of your wonderful garden soil so you’ll have to be on the lookout to scoop this area instead of another. Spread fine mulch around the area: While cats don’t like heavy mulch as referenced above, they do like digging in fine mulch (similar to the sand mentioned above), so it will attract them to the area as opposed to your precious garden space. 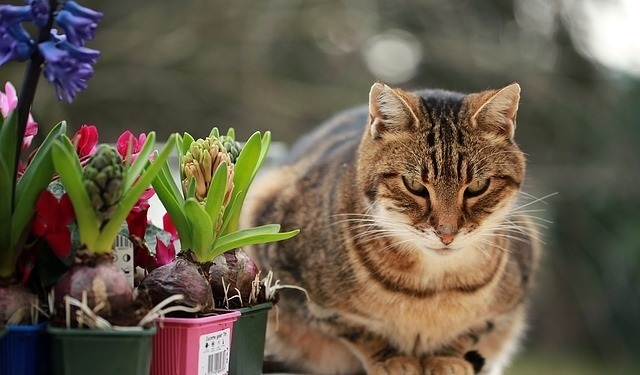 Try other plants cats love: Cats also like bean plants, berries & flax to name a few. You can also check out my list of plants that are cat safe for other ideas. This is probably the most complicated of the options available to you, but it may also be one of the nicest and most rewarding things you can do! If it turns out the cat is a stray then it may be using your garden as a bathroom because it doesn’t have anywhere else to go. If that’s the case and the cat seems friendly then you may want to consider building trust with the cat and adopting it. Many cats transition well to the indoor life. There’s a full guide here on WikiHow that can walk you through the basics of befriending a new cat. Do keep in mind that some cats are 100% feral and they’ll never have an interest in befriending humans. As you can see you’ve got a lot of options available to you to keep cats out of your garden in a completely safe and humane manner. As a cat owner I can completely understand you not wanting cat poop in your garden, so use these methods above to stop cats from fouling your garden! While not every method will work for every cat there are a lot of options here that have proved successful and one is bound to help! If you have any other thoughts on the ways to keep cats out of your garden then please do leave a comment below so I can update the post accordingly. Man I have learned so much about cats just from this article alone! I had a cat at my old house and she was nice up until she got older and then started biting everyone. My neighbor has her now and needs help with this, so is there anything you recommend? Can you clarify what your neighbor needs help with? Is it with the cat biting people or with cats in the garden? Happy to help with either if I can! I like the option of giving the cat an alternative space. Kind of like a safe space. There they can do the cat dumps in peace in this own sanctuary. Don’t get me wrong I love the furry beasts but once a cat attacked my cat (turf wars) and a blast to the snout with a water hose fixed that real quick. I think maybe some compressed air would be nicer to the fuzzy feline because they can’t stand water. I also think a bandana collar should be a requirement for cats to identify them also in certain neighborhoods . Different colors for every cat on the street and it would make them look cool while giving the owners an easy way to see which cat is which. I have seen some streets where calico cats dominated the whole neighborhood. A cat bandana would clear up any problems in identifying the cat that dumped and ran from the scene. You could have a bandana color for the cat that was a frequent pooper and maybe make it wear an ankle (paw) bracelet until it stopped with the dump and bail routine. As far as the garden is concerned I think certain gardens can benefit from cat doody as a fertilizer. Only problems is if you’re down working on a little flower bed and dive in with full gusto into the dirt with your little hand shovel you could easily chop the little single doody in half creating a nasty little cat turd disaster. For this I would probably put a little fence around the gardens you don’t need extra cat fertilizer. Maybe add a small jolt of electricity in the mix to remind the cat that your garden is off limits. This would encourage the beast to maybe take their next dump on the neighbors garden which would work well especially if you’re good at playing like you have no clue what just happened. Outta site out of mind type of thing. You wrote a great article on tips to keep your little feline friend away from taking a healthy dump on off limit gardens. While I could care less what cats poops where I think your article will be great resource for cat owners all over. Great work! Thanks for reading David, you’ve got a lot of interesting ideas there! I particularly like the idea of giving your cat a bandanna or colored collar if he heads outside. Hopefully using bright colors would help keep the cats safer from cars too! We are actually just finishing up the landscaping in our backyard this fall. We have yet to put in a fence and are a little bit worried about stray animals coming in and messing with things. In my neighborhood, dogs seem to be much more prevalent than cats. I know your whole site is dedicated to cats, but on the topic of keeping your yard safe from stray animals, do you have any tips on dogs? What a plethora of information! I always enjoy your posts. When I was four years old my outdoor cat got hit by a car. So, of course I got another cat. Then less than a year later it, too, was hit by a car. My little five year old animal loving heart couldn’t take losing another cat, so the next little fur ball I adopted was kept as strictly an indoor cat. Over the years I’ve encountered some strays that make their way over to my place, and I feed and perhaps love on as they come and go. However, I’ve not noticed any fouling in my garden taking place! I think I’d try the rue though, if this every became an issue. I’ve never heard of it and I’d be curious to see how it works! Thanks so much for sharing this, I know so many will benefit from reading! So sorry to hear about your cats as a kid, that had to be heart breaking! As for seeing cats in your garden, I think it heavily depends on where you live. I’m in a relatively urban area of Chicago so when cats find a nice little garden area I think they are more prone to take advantage of it than your typical suburban cat that has a garden every other yard or so. The things we have to do to keep our sanity. I would never think that Lion poop would keep cats away from my garden. I enjoy reading your post especially about the things we can do to keep the cats out of our garden. Do you think it is better to call Animal Control than to put things like Spike Mats in your garden? I’d lean toward a conversation with the neighbor first if the cat is owned. If they are strays and you’re sure of it I’d call a local shelter first to see if they can come by as part of the city Trap Neuter Release program. I’d go with the spike mats first, they aren’t dangerous to cats and won’t hurt them in any way, they just don’t like the feeling. Only at last resort would I really aim to call animal control if the cats are actually being a pest. Animal control often results in the cats being put in the city pound where they might end up euthanized. Ultrasonic pet repellents are very effective to keep cats out of your garden. Agreed. Are there any particular ones you’ve found most effective?